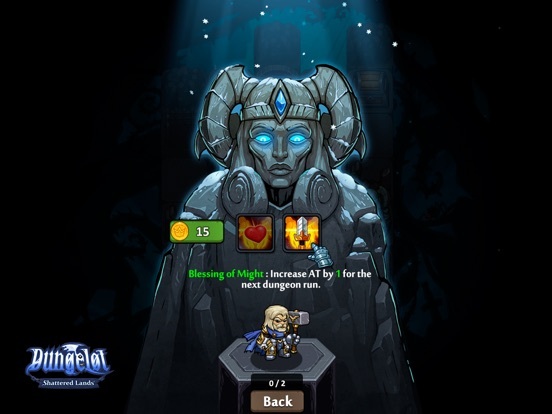 "A brilliant roguelike with a finger in a load of genres that gets the balance just right." 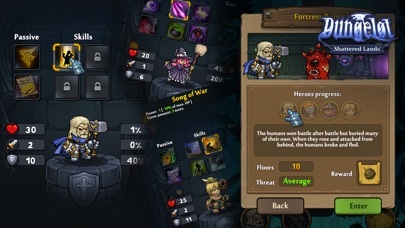 - 9/10 PocketGamer "...if you love a good roguelike dungeon crawler that will keep you entertained for a long time." 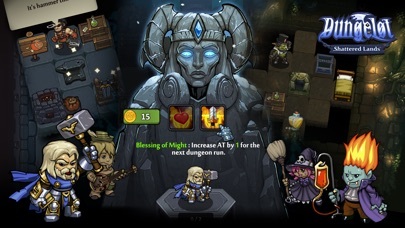 - 4/5 AppAdvice "Anyone looking for a challenging mobile game will certainly get their money’s worth." 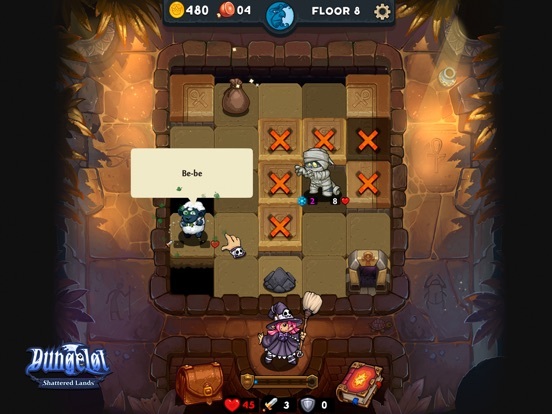 - 4.5/5 GameZebo "...a fulfillment of the promise behind the first Dungelot" - 4.5/5 Toucharcade Dungelot: Shattered Lands takes you on an epic roguelike dungeon-crawler adventure to defeat zombie cows, splat giant evil mushrooms, and generally get back home in one piece. Deceptively simple, ever so addictive. 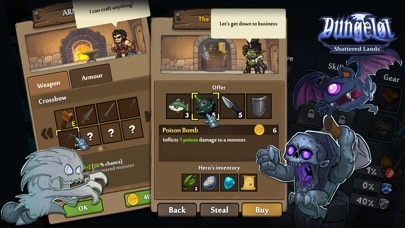 - Three worlds to explore - 4 Characters to upgrade, each with distinctive play styles - 18 Dungeons to fight through - Mini games to uncover, side-quests to undertake - Bosses to fight, merchants to trade with, and secrets to uncover Dungelot: Shattered Lands features dozens of hours of content, with three worlds to explore, hundreds of items, spells and enemies, and epic boss battles that will burn your face off. Same here, I'm exploring. So far, I like it. Its a bit different than the other games, but not in a bad way...More imps later. No kidding with that app description. 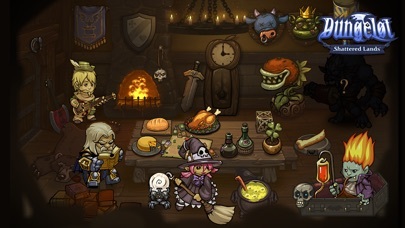 This really does feel like a proper fleshing out of the original Dungelot and a fully realized idea. Well done! 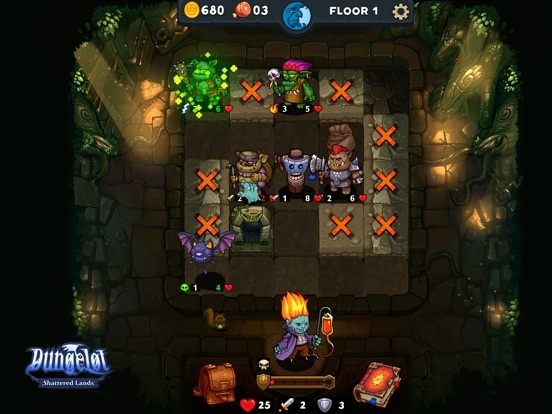 Also, worth noting I never tried Dungelot 2, so I don't know how well that evolved the Dungelot formula. Gameplay is great. But the game lacks full RPG qualities, skill trees with skill points and varying characters. I like it but it feels like there should more to the characters, like what Battleheart did with their characters. I'm also concerned about the length of gameplay. Yeah, definitely different. Too early to know how I feel about it yet. One thing that is definitely neat is the interactions between some of the enemies. There is very little in the way of instruction given. I think people that haven't played the series are going to be lost at first. It's a rogue like dungeon crawler - not an RPG. Really isn't meant to have skill trees and stuff like that. Downloading now! Two of my favorite games are the others in this series! Have helped on betas etc. Even with bugs from the beta still present this is one of my favorite new games. 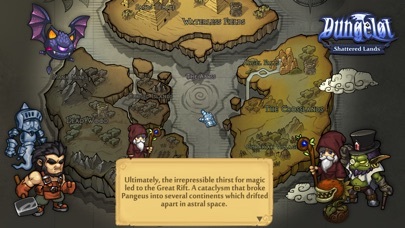 Given the over world map and other RPG trappings, it seems a bit odd that items are not retained between dungeons. Why does one keep weapon and armor, but not the other two slots? So does Desktop Dungeons, and that game is a masterpiece. Just a small thing. When we're going to use a skill or item can we have an option to just press it and press the enemy rather than hit use. Dungeon Crawlers have RPG skill trees sometimes. It would be cool. I don't mind either way, it just goes to the game not communicating much to the player (as mentioned above). It would have been nice to know before buying a shield that it was only temporary, for instance. Not a complaint. More of an observation. This is why I love IOS gaming man loving it so far. Will be perfect for me when at work!